Casa Bonay is not your average hotel. Opened in 2015, and built around a definite design and environmental philosophy, it is proof positive that you can stay in a hip, highly original, and green hotel without sacrificing comfort. 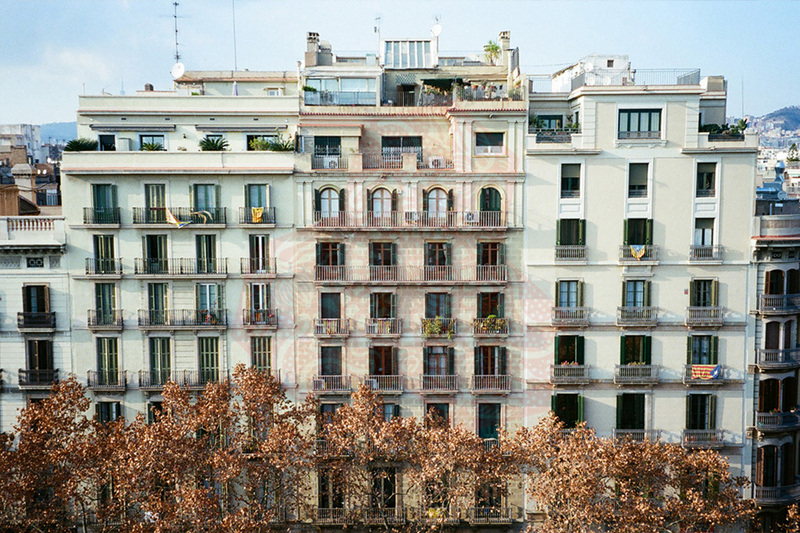 Casa Bonay sits in the heart of the Eixample neighbourhood, an elegant residential and shopping area. The district is a little removed from the usual tourist haunts, but none the worse for that. Eixample has its own attractions, including plenty of great tapas joints and cafes, designer stores and some stunning art nouveau buildings. 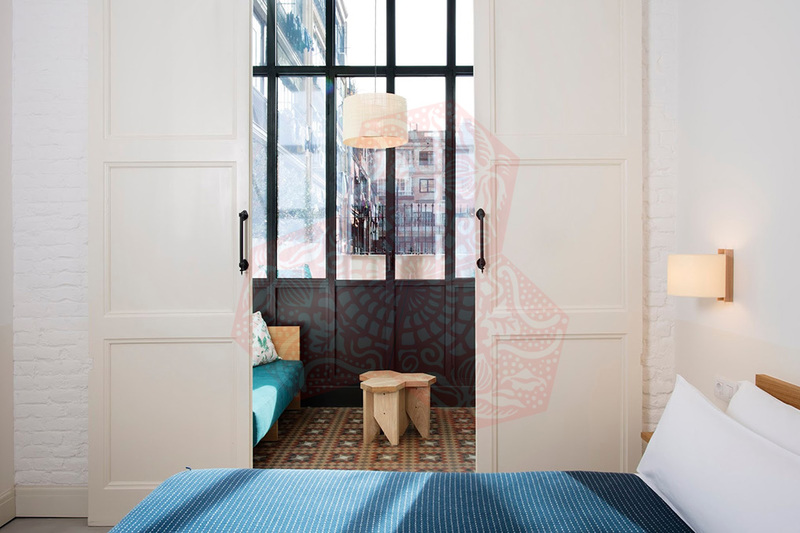 Granted, you won’t fall out of bed onto La Rambla, but Casa Bonay is still within walking distance of Barcelona’s biggest tourist pulls. For example, La Sagrada Familia and the Gothic Quarter are both about 15 minutes on foot. Or, if it’s too hot to walk, Tetuan metro station is just a couple of minutes away. Reconstructed from the shell of a 19th century textile factory, the design of Casa Bonay benefited from the input of New York agency Studio Tack, Barcelona designers Santa & Cole, and near neighbours Ostras Cosas. The result is a chic blend of industrial and traditional Mediterranean elements. The designers have made the most of the building’s original character, incorporating un-plastered walls and visible metalwork in the rooms, and preserving original elements such as a marble staircase. The design cleverly balances this with a more organic feel, making use of beautiful mosaic floors, masses of natural light and an abundance of plants. All too often, hotels are little fortresses where there’s no contact with the indigenous population. Not so at the Casa Bonay. The hotel quickly became part of the community, and the lobby, restaurant, coffee shop/ juice bar are enthusiastically used by locals. Environmental issues may have been shoved off the front page recently, but they have not gone away. Hotels have come under fire from environmentalists, and not without reason. In their efforts to please their guests’ every whim, they can be tremendously wasteful institutions. But many of todays’ travellers are keen to take a more responsible attitude. Casa Bonay was built, and is managed, with a philosophy of sustainability and low environmental impact. It runs through every aspect of the hotel, from the LED lighting to water restrictors on the taps (if that sounds inconvenient, it really isn’t) to superbly insulating glazing. These measures mean Casa Bonay has achieved an A rated energy certification. One thing that Casa Bonay lacks, and which is undeniably very welcome in Barcelona, is a pool. If you can bear to live without one (and there’s always your excellent ensuite shower), the Casa Bonay has some great facilities. There’s a small but elegant rooftop terrace, with wicker chairs and herb-filled planters. Evening drinks and food are supplied there by El Chiringuito de Bonay (Wednesday – Sunday). There are some exciting dining and drinking choices on site: Elephant Crocodile Monkey is run by Biologist-turned-chef Estanislao Carenzo, and within this restaurant is a pop-up Vietnamese food stall, Tet. Then there’s the beautiful restaurant/bar Libertine, for cocktails, teas, or 12pm-12am dining. The ominously named Satan’s coffee corner fulfils your caffeine cravings, and cold-pressed juice bar Mother serves up all manner of fresh, organic fare. The shops at Casa Bonay perfectly complement the independent, trendy feel: there’s a bookshop run by small publishers Blackie Books and baTabasTa, an outlet for shirt/wallpaper/fabric designers. The 67 rooms at Casa Bonay continue the design-led theme seen in the public areas. There’s a minimalist, quirky feel: for example, you may find hanger racks rather than wardrobes, and the larger rooms have that all-important yoga kit! Nevertheless, all rooms are equipped with Wi-Fi, smart TV, minibars, and air con or fan. The managers know a thing or two about guest comfort, with reviewers praising the quality of the bed and the shower. Larger rooms have terraces, and some even have an outdoor terrace shower. In general, rooms make the most of the natural light. Service is one area where scouring Trip Advisor helps to get an honest picture. And the verdict is excellent. Reviewers praised the cleanliness of the rooms and the friendly, approachable staff. The young, capable reception staff buy into what the hotel is trying to achieve, and have excellent English. Casa Bonay is a hotel with a clear vision and identity. 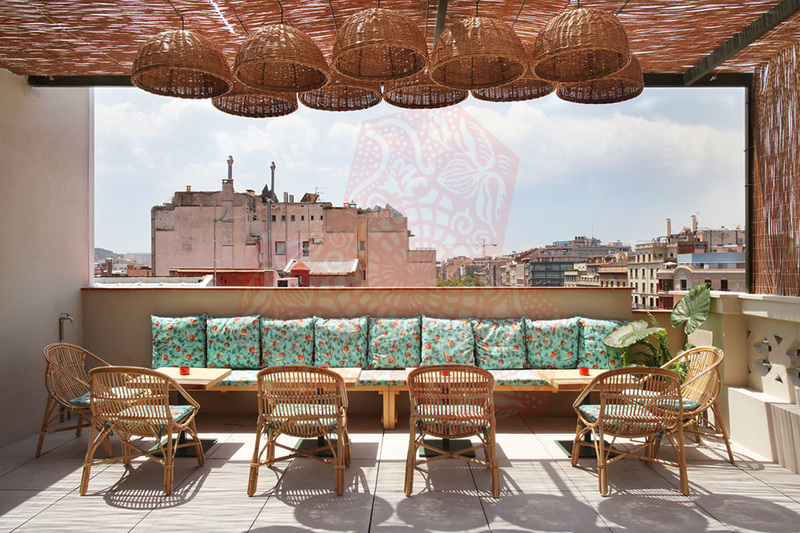 All the fundamentals – good service, comfortable rooms, good facilities – are there, but the hotel also offers an opportunity to integrate more fully with hip and happening Barcelona. It’s a great place to stay. 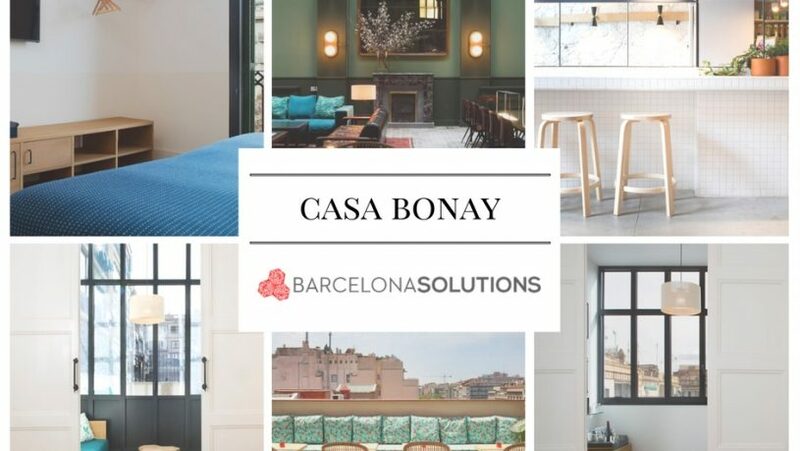 Casa Bonay is located at Gran Via de les Corts Catalanes, 700, 08010 Barcelona, in the heart of the Eixample neighbourhood, an elegant residential and shopping area. The district is a little removed from the usual tourist haunts, but none the worse for that. Eixample has its own attractions, including plenty of great tapas joints and cafes, designer stores and some stunning art nouveau buildings.